Finding a mattress that’s firm enough for you can have a big impact on how you sleep at night. Whenever you choose a mattress, you are making a long term investment in a big chunk of your day. A mattress can be expensive to buy, and considering you will probably be spending about eight hours a day sleeping in it, you will want to be certain that you are buying the right one. You will want a mattress that is firm enough for you, but how will you know whether or not it is? No need to worry, because here are a few ways you can figure out the answer to that exact question. Everyone has their own personal sleep style on their mattress that they are comfortable with. Some people like to sleep on their back, others on their side, or even on their stomach. A lot of people are versatile too, which means they sleep in a combination of the previously mentioned ways on their mattress. Whatever way you position yourself will help to determine what kind of firmness you need for your mattress. Each position to sleep in has its own ideal mattress firmness. Which means that if you like to sleep on your back, you will need a medium firmness mattress which is different than what someone who likes to sleep on their stomach needs. Another thing to take into consideration when trying to figure out the firmness of your mattress is any back issues you might have. If you are someone who has several back issues, then you will be in need of a mattress that does not make these issues any worse than they already are. It used to be believed that a hard, firm mattress was the best option for people with a bad back, but that has since been debunked. Yes, it is good for some, but not all. The best options, however, are either a medium firmness mattress or one that can conform to your body shape that can relieve and support you instead of resulting in possible pressure point pain, like a hard mattress might. After you figure out what firmness you might want for your new mattress and you have bought it and brought it home, be patient. At first, you might feel like the firmness of your mattress is not quite what you wanted and you will want to take it back. However, if you stay patient for about a month, you will be giving your body time to adjust to your mattress and you may grow to love it. 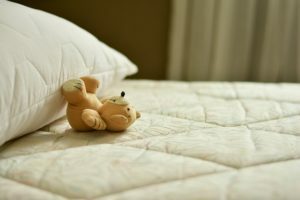 If not, then that will be the perfect time to go ahead and take it back and get a different firmness for your mattress. This entry was posted on Friday, January 18th, 2019 at 1:30 pm. Both comments and pings are currently closed.